Dear MxM by Jaisurya Das: If Mahatma Gandhi is the Father of the Nation, who is the Father of the Indian Media? Indiaâ€™s premier counsellor for the media, advertising and marketing industry. Now that the trumpet is out of the way, I shall risk getting into the meat of this introductory piece! Talking about meat, I had the most amusing experience of my life on social media a few days ago. It began with a tiny post from â€˜yours trulyâ€™ offering to help promote a cause/ creative expression in the city of Pune. I actually imagined this to be quite harmless and with good intentions till I encountered a disgruntled gentleman who was out to make mince meat of the media brand I represented. What interested me was his ludicrous definition of what constituted his groupâ€™s audience (the group he represented on Facebook) who he believed were people from another planet and not the kind who would read a city online magazine. Such audiences no matter how large were only a distraction or so he imagined. Downright rude, this man went on with his comments almost as though it would tilt the world at large. While I would have in the normal course, enjoyed giving him a piece of my mind, our media baby was the platform and hence I resisted temptation. Pity. I would have just loved to take him and his kingsize ego head-on. What caught my attention however was the lack of sensible etiquette on a pubic platform. I remember having instantly apologised months ago to a young lady who was offended by one of my posts on a common friendâ€™s timeline. It was misunderstood but if it upset the lady, an apology is in order no matter what. No, I don’t want an apology from this disgruntled genius of human engineering for having poured forth his venom. But yes, some amount of self-regulation is called for on public platforms. Eventually someone takes flak or ends up facing the consequences of callous remarks.The group in question for instance, took an image beating thanks to this one member who just didn’t know when to keep his mouth shut. May God give him the wisdom to understand his folly. Amen. I think itâ€™s time all of us who use social media brainstorm to evolve a code of conduct or put together an etiquette document that can be adopted at least in spirit. After all, if social media users are the problem, itâ€™s best that the solution come from them / us too. It’s my boss’s birthday next week. What gift can I give himÂ without making it look as if so am ‘lagaoing maskaâ€™ (intentional flattery)? Please advise. Thanks for writing in my friend, and with a pertinent question that! This is a situation we often face in our corporate careers. If you do respect and genuinely like the individual on that chair, it is only natural to want to wish them on his/her special occasions and yet this is often misconstrued as an obvious attempt to curry favour. There is really no stated protocol on this and yet, peers and colleagues often raise an eyebrow when gifts are exchanged. This honestly greatly depends on the environment at work, your boss, your colleagues and their level of professional maturity if I may say so! If you think itâ€™s all good and comfortable, then go ahead and buy him/her whatever you would actually like to. Ideally this should be a small gift which is inexpensive and yet elegant. Normally, memorabilia, workspace artefacts, books, potted plants, chocolates and flowers are all well-accepted. Itâ€™s best not to go overboard and keep it dignified and simple. A nice fun card also works well. Nothing like a good laugh on oneâ€™s birthday! And, yes, do wish your boss a very Happy Birthday from me. I am a copywriter but I think I should work in a media agency and not a creative agency.Â What say you? Thatâ€™s interesting! What is it about media agencies that get you so keen? I somehow don’t see reason with this, assuming youâ€™re serious about good getting some good creative exposure. Finally it all depends on what you expect from your career and how your creativity competes in this rat race. If you are serious about great copy then itâ€™s best to be with your tribe. It may just end up being very monotonous to interact with planners and buyers beyond a point. Yes they do great work, and are very analytical and sharp with their acumen, but do you see yourself fitting in? Itâ€™s important to be excited each day of work and thatâ€™s precisely why you need to be at a temple of learning. Remember, It takes a creative person to mentor another! My advice to you would be to get serious, and introspect on some fundamental issues. Itâ€™s critical that you now identify your passion, and decide on how you wish to romance it..
Sir, given that there are such a large number of people comfortable with our regional languages, why is it that we don’t see enough original work being done in regional by our big advertisers? Brilliant question, my friend. I have often wondered why everything you see in regional languages are all dubbed or adapted from English. More often than once, itâ€™s done shoddily with horrid voiceovers armed with questionable diction. And as far as the print campaigns go, they are literally translated making them quite hilarious, especially for the bi-lingual audience. This gap is essentially driven by the majority of advertising agencies in large metros who only â€˜think in Englishâ€™ most often. Having said that, Pune does see some original work in Marathi but it gets restricted to the local market thanks to the clients footprint. Today, even the regional advertising agencies â€˜think in Englishâ€™ to be in sync with the big daddies of Mumbai, Delhi and Bengaluru. I don’t blame them. Clients demand that for reasons of â€˜perceived imageâ€™ among other things. Someone needs to herald a movement to get creative advertising professionals think regional, think vernacular.This is the only way. It has to be a concentrated effort with the client, the agency and the media involved. This is the answer, or so I believe. If Mahatma Gandhi is the Father of the Nation, who is the Father of the Indian Media? This is indeed a smasher of a question! Thanks for writing in to Dear MxM, Indiaâ€™s weekly counsellor that strives to find method in the madness we call media and advertising! To be honest, I would personally like to credit a lot of media professionals for having given birth to a plethora of brilliant media companies and initiatives. Some old, some too young to be called the Father and others who worked relentlessly in the background to make so much happen. Some got all the glory, while the others were kicked under the rug but only after they gave their lives for great media in this country. Having said that, it would be unfair on my part to name one or two people who have made a huge difference and created powerful media in India. And yet since you ask, Samir Jain (Bennett, Coleman & Co Ltd, owners of The Times of India Group, Times Television etc) is definitely the man who made media owners and organisations realise that media is also a business like any other. This changed the face of Indian Media once for all! No, Samir Jain isn’t the Father of Indian Media. No one person is, or will be. But yes, he did what many couldn’t imagine doing, no matter if his moves are debatable, questionable or otherwise. Brilliant mind. No debate on that. May I reiterate for abundant clarity, that these views are in no way linked to the fact that a greater part of my corporate career was spent at The Times of India Group. On that note, hereâ€™s wishing you a thrilling weekend with much fun, good cheer and much deserved rest. Do take good care of yourself. See you next week! Keep those questions coming at editor@mxmindia.com. Do mention â€˜Dear MxMâ€™ and your â€˜Cityâ€™ in the subject line. It helps. Jaisurya Das, the maverick media-evangelist eats, sleeps and romances brands.. His cerebral consulting interventions are aimed at making brands powerful and sustainable. Incidentally he is also a co-founder of www.pune365.com. Need more information on his work? 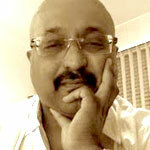 Do visit www.xanadu.co.in, Jaisurya Das is also Contributing Editor of MxMIndia. The views expressed in this column are his own.